This seminar will provide a unified program to help participants modify the way their ED operates to improve results. It will address shortening wait times, speeding and improving placements, reducing injuries and addressing legal problems which have a history of arising. It will help improve satisfaction for both consumers and staff. It will provide a framework for those attending the following two day program The National Update on Behavioral Emergencies, to use in implementing additional improvements and addressing problems. 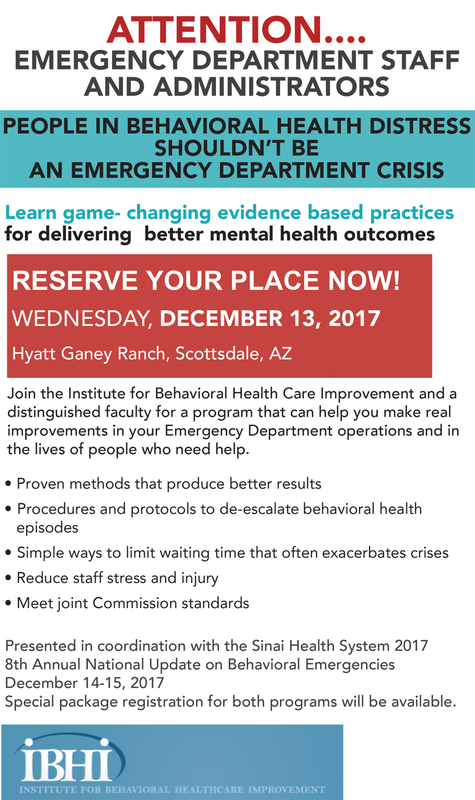 For more information about the National Update on Behavioral Emergencies conference December 14-15 at the same location click here . 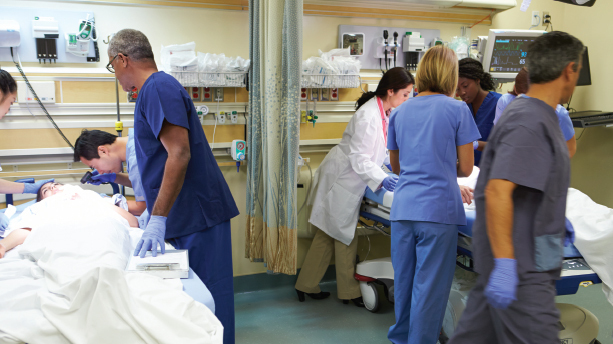 o identify specific aspects of their Emergency Department operation which exacerbate symptoms for behavioral health patients. o develop a plan for reducing the time people with behavioral health problems spend in the ED. o identify ways to expedite placement for those requiring out of hospital residential care. o identify specific issues which lead to court cases. o identify methods for avoiding those issues. o identify specific methods for reducing the incidence of injuries to consumer and staff in the ED. What is your role in your department or facility? Briefly: What brought you to the seminar and what are the issues you are facing? 9:15 The current ED environment, its impact on behavioral health consumers and what the recently added standards for Joint Commission accreditation mean for hospitals behavioral health and emergency care. 9:45 Examples of Streamlining ED Operations Techniques for understanding the flow problems and reducing boarding in EDs and ways to develop changes in the operation. 3:15 Break out groups – faculty facilitated – Planning to improve your facility and program. Participants use what they have learned to develop their own plan for improvement with faculty support including improving engagement with community. Developing trends, Use of Telemedicine, crisis centers, non-ED centers ( living room, Rose House) mobile crisis teams, Peer Counselors, Call center follow up efforts.